Are you traveling by car over the winter? This also means you will (most likely) have to plow your car, salt the streets and deal with frozen steering wheels. To stay safe, Jiffy Lube shared some winter driving and car maintenance tips with Momtrends. 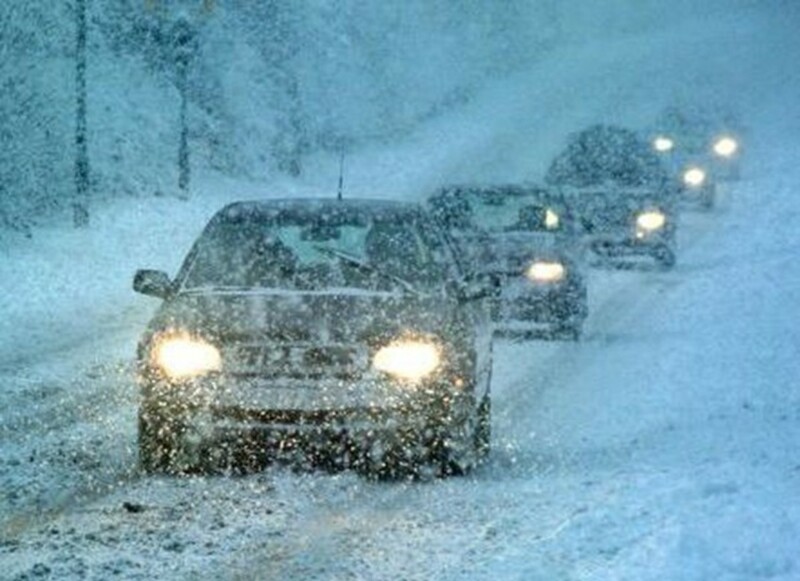 Here are some helpful tips to protect you and your car in the worst weather conditions. Check Your Vitals: Knowing how to check for proper antifreeze and windshield washer fluid levels, battery power and tire pressure &apos;?? among other key vehicle components &apos;?? is a must to help conquer cold-weather driving. Antifreeze/coolant is also important in colder temperatures to keep the engine from freezing. Fill Up: Keeping your gas tank at least half full will help avoid gas line freeze-up. To conserve gas, run the heater just long enough to defrost. Engine air filters should also be checked periodically inspected and changed. Get Energized: A weak battery is unreliable and may take longer to start on frigid winter mornings. According to the American Automobile Association, a battery can lose 35% of its power at 32° F and 60% of its power at 0° F. Have the battery tested at the beginning of the season to make sure it has enough cranking power to withstand the cold. To minimize strain, start the vehicle with the heater, lights and window defrosters turned off. Check Your Oil Grade: Using the recommended grade of oil for the winter months can help save money. Simply using your vehicle manufacturer&apos;? ?s recommended oil grade (found in your owner&apos;? ?s manual) can improve gas mileage by one-to-two percent. Avoid Panic: If your vehicle breaks down or the weather makes it difficult to drive, you could find yourself stuck on the side of the road in freezing temperatures and in need of a vehicle emergency kit. Suggested items to have on hand include a first aid kit, jumper cables, a flashlight, bottled water, extra blankets, gloves and hat, energy bars, duct tape, a can of Fix-a-Flat®, an ice scraper and a hand shovel. Kitty litter or sand can be spread under tires to get better traction when starting from an ice patch or in the snow. Momtrends was not paid for this post.All tips were provided by Jiffy Lube.